Read about the success story at Isimangaliso Wetland Park. This entry was posted in Home, Posts and tagged Isimangaliso Wetland Park. Bookmark the permalink. 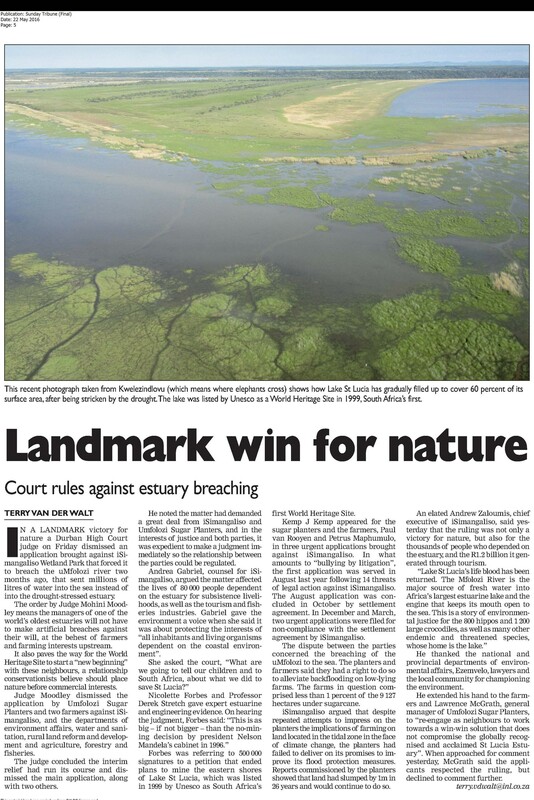 Nature deservedly triumphed in this case, hats off to all those folk who fought the case……and won!